It's fair to say that the beauty business is booming-as is the anti-aging industry. Each year, Americans spend more than $30 billion on cosmetics, and, globally, we spend about $260 billion on services and products to enhance our youth. Accompanying the decisions we make around our beauty comes the ever important question of whether to go fake or natural. Do we resort to the latest commercial chemical or surgical quick fix or go completely organic but possibly get less stunning results? 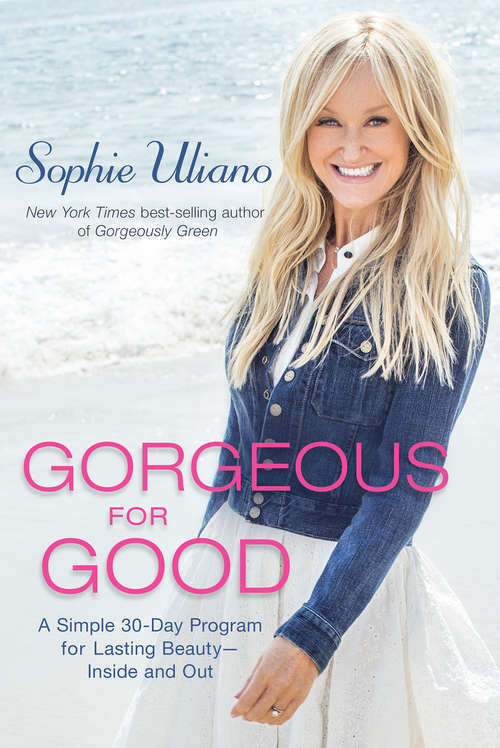 Clean beauty guru and New York Times best-selling author of Gorgeously Green, Sophie Uliano offers a solution to this latest beauty dilemma and says you don't have to choose, and when you look at her, you can tell she has more than a few good secrets. Unlike other books, Gorgeous for Good takes the middle ground between natural and fake. Rather than focusing on these extremes, Sophie looks at what truly healthy options actually work-and it isn't necessarily what people might think. In addition, she lays out a beauty perspective that focuses on helping readers create their own unique beauty-inside and out. With her exceptional combination of passionate research and everywoman commonsense, she puts forth a revolutionary, holistic program that covers everything from nutrition to self-care to spiritual connection and includes: Well-researched, myth-busting information about commercial and natural beauty products Simple guidelines for buying the best skin care products, and easy recipes for cost-saving beauty products to make at home Healthy, budget-friendly recipes for food to kick start the new you Exciting ways to get spiritually connected In her girl-next-door voice, Sophie brings all of this together in an innovative 30-day Gorgeous for Good program, offering readers tools for a body-and-soul beauty regimen that will help them stay gorgeous-not for six months or a year-but for good!